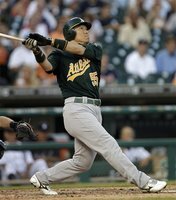 For Oakland A’s Hideki Matsui, the home run he hit on July 20th (168th MLB regular season homer) was only important because it helped the A’s enjoy a 7-5 victory over the Detroit Tigers. "I'm happy to be able to get it out of the way," said Matsui, who went 3 for 4 with three RBIs. "Winning the game made it only better." That's typical of Matsui's team-first approach that has won respect throughout the clubhouse. But for Matsui’s childhood hero and mentor Sadaharu Oh (who hit 868 home runs for the Yomiuri Giants), Hideki’s combined total of 500 major league home runs (322 in Japan and 178 in the MLB/counting playoff round-trippers) is as big as the man’s popular nickname among Japanese fans “Godzilla”. Oh paid tribute to Matsui recently sayin g: "Five hundred is a figure that carries a lot of worth in the major leagues," said Oh, one of eight players with more than 500 homers in Japanese professional baseball. "To keep hitting home runs during a tough schedule while maintaining your conditioning is not easy." The media attention Hideki has received in both countries factors in the 10 postseason homers he hit for the Yankees to get him to 500. Using that criteria, Jim Thome, with 17 postseason homers, would already be a member of the 600-homer club, not standing at 596 (see Thome Takes Slow But Steady Approach To 600). But however you dissect Matsui’s power numbers they are, well powerful! As the only man to ever hit 500 home runs playing in both Japan’s Nippon Professional League and U.S. Major League Baseball, Matsui has proven himself on both sides of the Pacific Ocean. With a .285 batting average over his nine MLB season, he carries a .470 slugging percentage. But the crowning moment in his career has to have been his selection as 2009 World Series MVP while playing for the New York Yankees. "It isn't like I've been aiming for this," Matsui said through an interpreter, "because I don't really combine numbers from Japan and here. To me, they are two separate leagues." Despite what he may say publically, this home run clearly meant a lot to Matsui, especially since he went through a 24-game homer drought after hitting No. 499 -- his longest dry spell since a 33-game streak in 2007 – but he never gave any indication his pursuit of history was a priority. His teammates and A’s manager Bob Melvin had a different take. "I don't care that it is split, or how many he hit where," Melvin said. 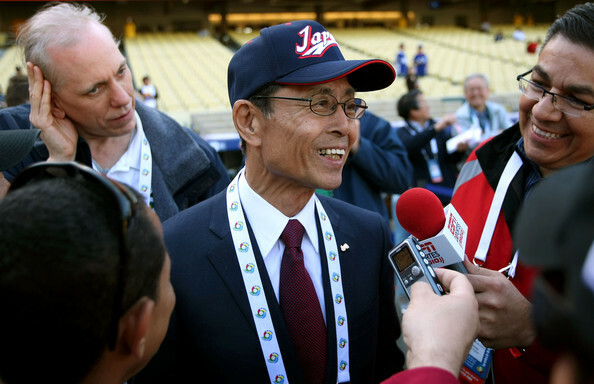 "It is still the major leagues here and the major leagues in Japan, and it is quite a feat by a fantastic player."